Don't wait in line; snap and print a passport photo on your own! Getting a new passport can be a real hassle: taking a good photo, waiting in line at the post office, and hoping you have all the right forms. Luckily, passport renewals can almost always go through the mail, but getting the photo right is still a challenge. Luckily, taking a passport photo is no longer expensive now that just about everyone has a camera and access to a printer, and if you follow a few guidelines, you'll have an acceptable passport photo in no time. The following guidelines apply specifically to U.S. passports so be sure to check whether or not your country has any additional requirements. If you're getting your first passport, or you're a minor who is renewing one, you'll have to apply in person. The U.S Department of State Bureau of Consular Affairs oversees passport applications and approvals and provides a list of guidelines for passport photos. It also offers several examples of acceptable and unacceptable passport photos, so it's worth taking a look if you're not sure your final product fits the bill. The rules come down to making it as easy as possible for customs agents and border control to match your face with the photo. Except for red-eye removal, you can't modify the image. In fact, the state department actually will reject pictures with red-eye, so get out your photo editor or choose another shot. Take your photo using a high-resolution camera (this includes the best and newest smartphones) and in good natural light. Parents: If you're submitting an image of an active toddler or child, you'll have to be patient and be sure to get a clear shot when your subject is sitting still. To print the passport photo, you can use your photo printer if you have good quality photo paper. Otherwise, you can visit a photo service, such as a local drugstore, Target, or Walmart. FedEx and other retail locations offer passport photo services as well. There are some exceptions and special requirements for infants and young children. There are exceptions to the rules when it comes to glasses and headwear. If you can't remove your glasses for medical reasons, you can get a signed statement for your doctor to enclose with your application. Likewise, if you wear protective headwear for medical purposes, such as epilepsy, you can also submit a signed statement from a medical professional. Finally, if you wear a head garment for religious reasons, such as a hijab, you can provide a signed statement indicating that your hat or head covering is required religious attire or is customarily worn in public. 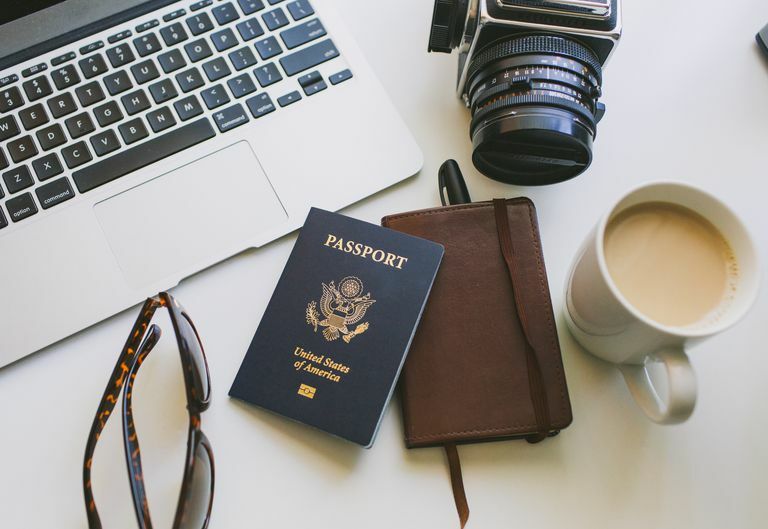 Following these guidelines will ensure that you can renew your passport — or get your first one — with relative ease. Next step, start planning that international trip.